Against the backdrop of the 2009 MP’s expenses scandal the design group ‘Hole in my Pocket’, in association with the Architect’s Journal, hosted a competition to design first and second homes for Members of Parliament. 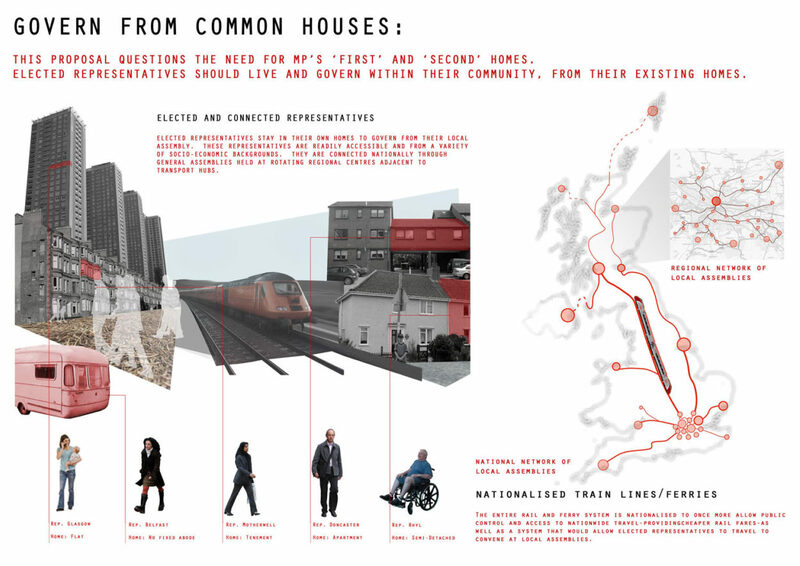 Collective Architecture’s competition-winning entry questioned the need for MP’s first and second and proposed that deeper changes in our system of governance were required. This was set against the widening gap between rich and poor widening, increasing political disengagement and diminishing public ownership. The MP’s fiasco scratched at the surface of the political crisis. Our proposal reinforced the need for elected representatives to live and govern within their constituency and more greatly reflect the population by including young and elderly people. 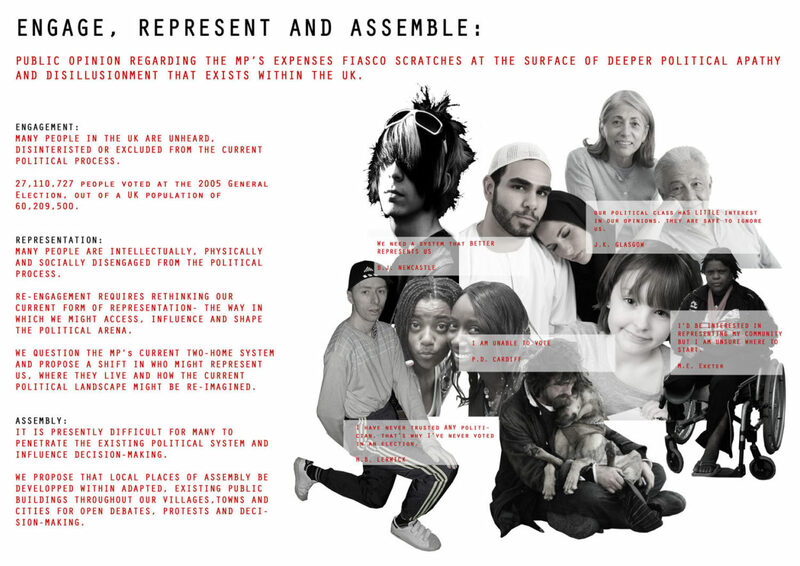 It also suggested we create a series of local places of assembly for debate, protest, discussion and action. 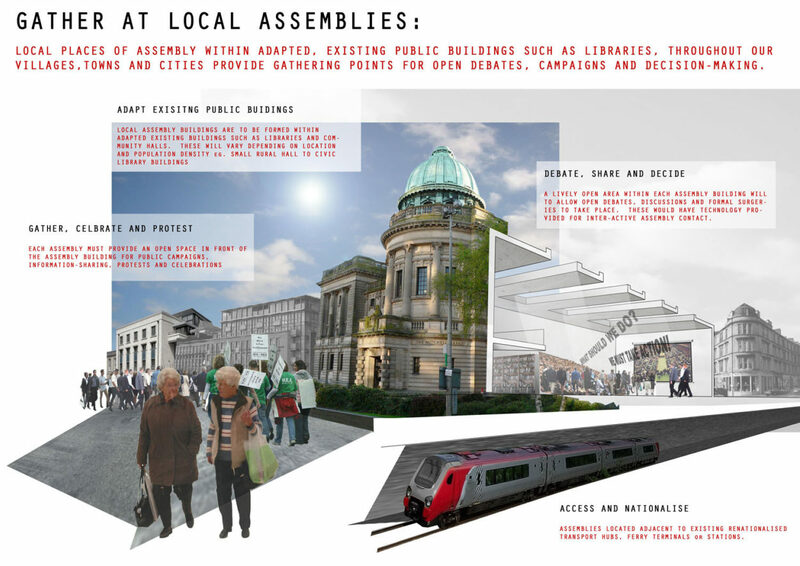 These local and regional assemblies would be housed within existing public buildings such as libraries and be connected via a re-nationalised transport network of rail and ferry. Westminister would cease to exist in its current form. 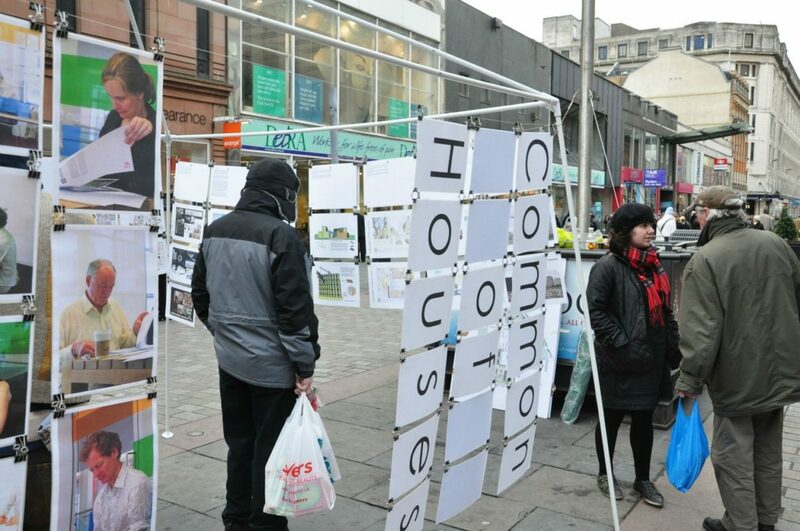 After the competition Collective Architecture worked with Hole in my Pocket to stage an on-street exhibition of all the competition proposals in Glasgow’s bustling Argyle Street.